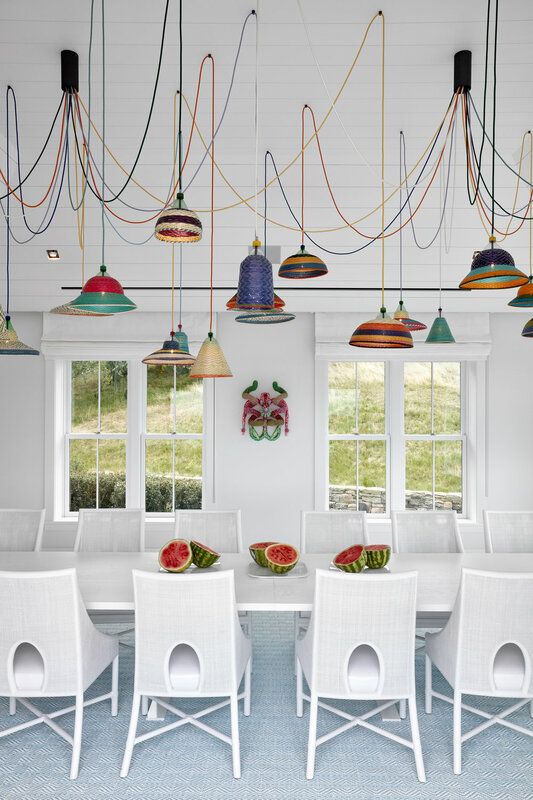 On their umpteenth project together, Ghislaine Viñas and client, friend and art collector Paige West revisited a summer home in Montauk they had designed eight years ago. 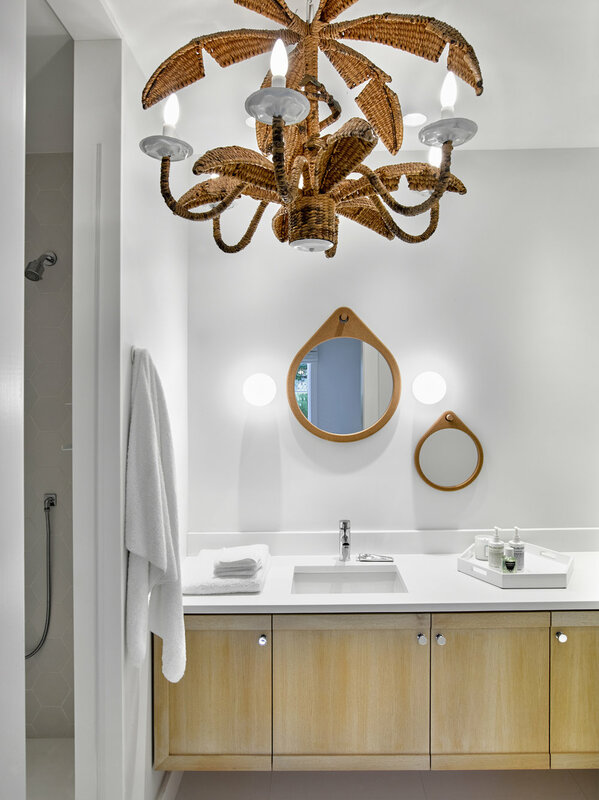 What started as a small basement renovation soon thereafter turned into an entire remodel of the eleven bedroom 7,500 square foot residence. 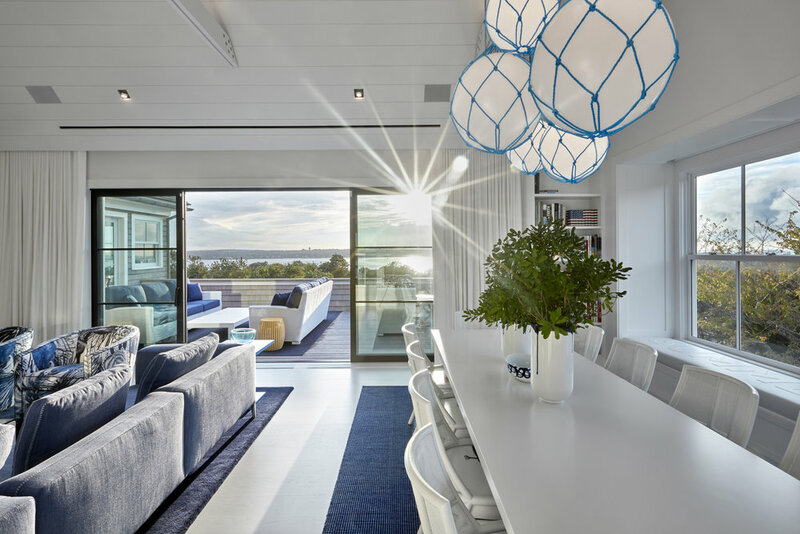 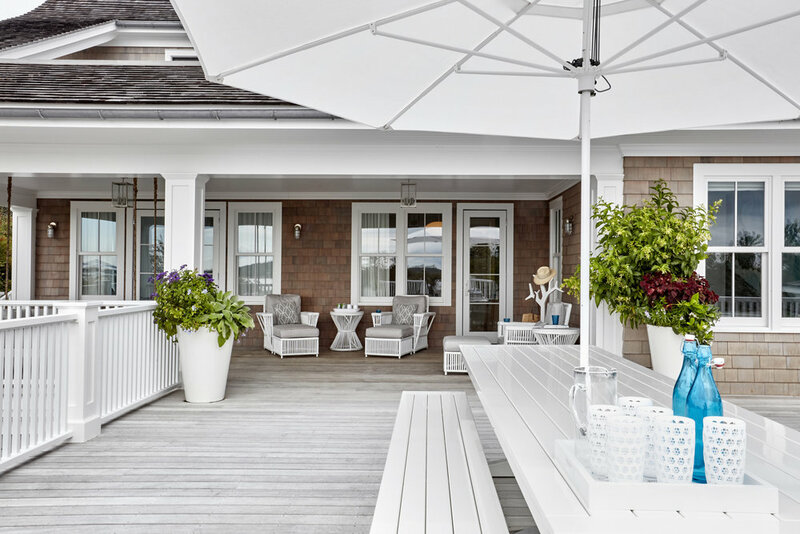 The project was dubbed "Floritauk" in its stylistic marriage of quintessential 1960's Florida (stemming from the clients deep family roots there) and a laid back Montauk beach house feel. 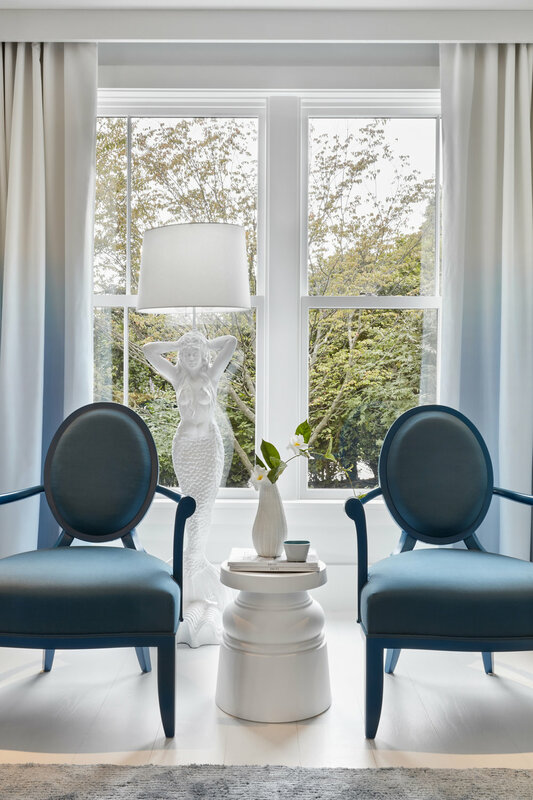 Ghislaine Viñas Interior Design put an emphasis on furnishings rather than built ins this time around, and created an extensive amount of personal details in the custom design of furniture pieces, lighting and textiles for the family. 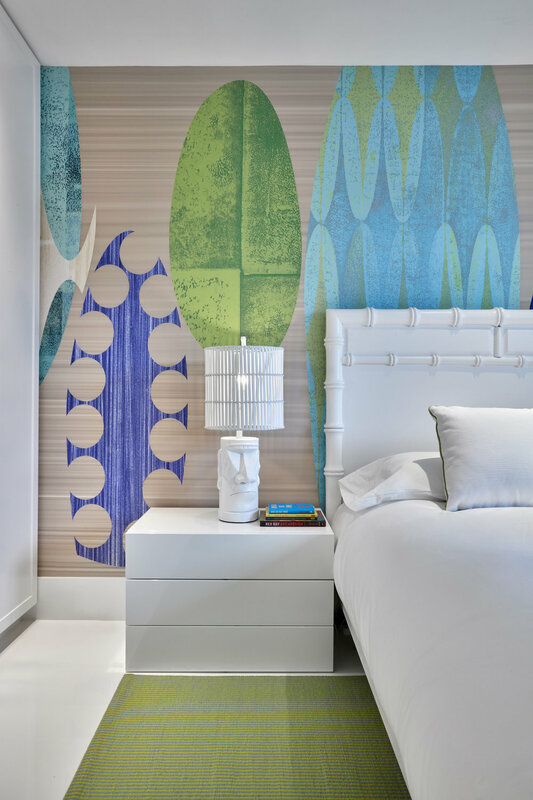 Each room of the home has a decidedly clear attitude and inspiration, all topped with Viñas' signature of bold graphics and color with classic minimal yet traditional architectural detailing and clean white lines. 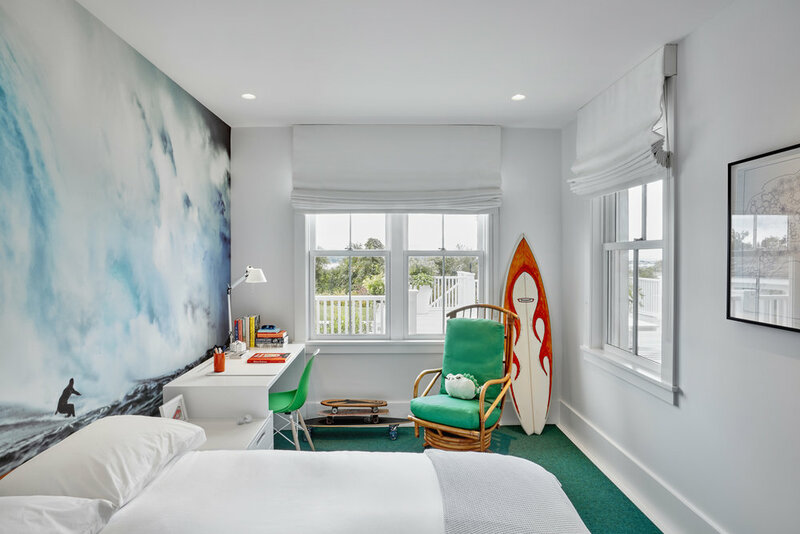 Having a revolving door of guests, the summer home sometimes feels more like a hotel so, for fun, the client employed Ghislaine’s graphic designer husband, Jaime Viñas, to do a tongue in cheek branding of the entire house. 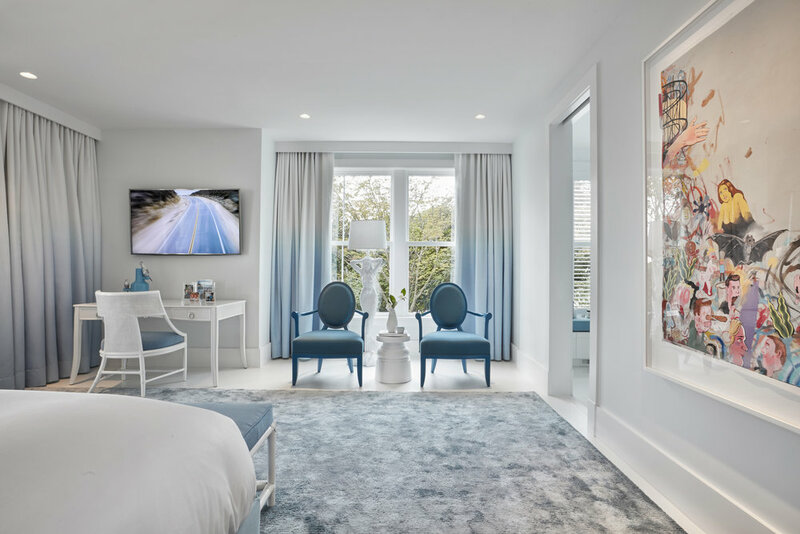 The endeavor began with towels and ended with the likes of baseball caps, tumblers and custom designed mini bar coolers in each room to give guests the complete effect of a stately beach resort.